Wolf-Garten Professional Pruning Saw from the popular Multi-Change® inter-locking tool system, is specifically designed for connecting to long length Multi-Change® Wolf tool handles. 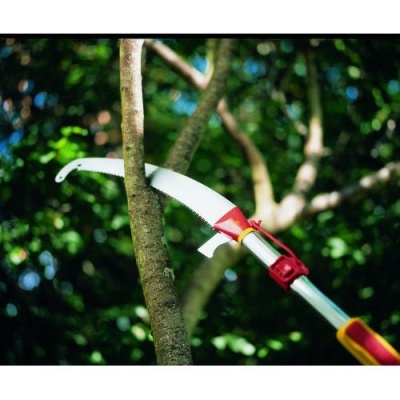 Professional Pruning Saw benefits from a special serrated saw blade which allows Wolf long-length handles to be fitted, allowing working heights of up to 5.7m. As standard the Wolf Pruning Saw includes a ZM02 handle for simple use as a handsaw for all sawing tasks on the ground and at accessible heights. 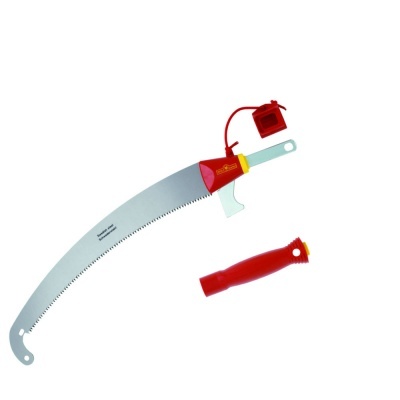 Pruning pull saw has specially designed teeth for maximum cutting performance and benefits from a curved, Swedish-steel blade for smooth cutting at an optimum angle. 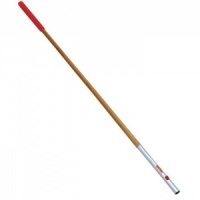 Wolf tools represent high quality engineering and supplied with a 10 year guarantee.